- Full 32 bits application. You can store you event data in longnamed files or install program to 'Program Files' folder. By erasing of deleted records you can make smaller data files. - Read data form backup. You can read data directly from backup files. - Dimmed map for better view of courses. - Use right mouse button to change edit and insert mode. - Local menu for selecting or deselecting all courses in course editor. 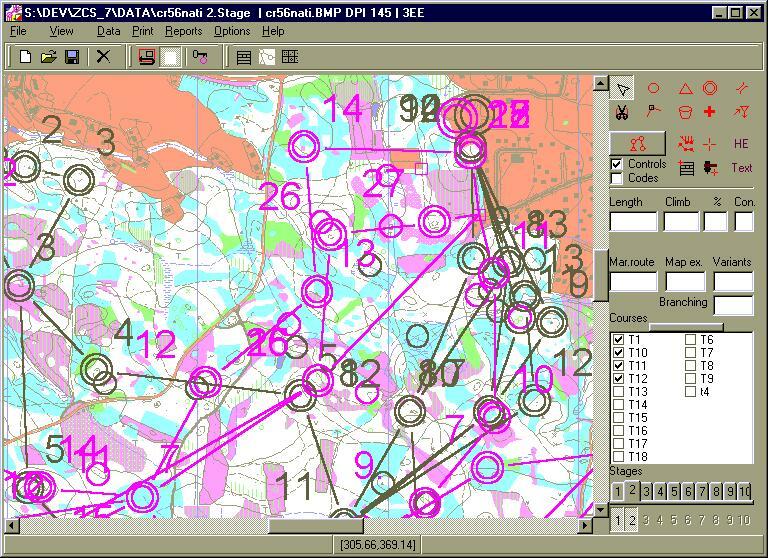 By using preliminary plot or print of registration crosses you can you can use Windows ink plotters or printers to print courses onto the map too. You need not open print window again to repeat print. - You can store up to 10 events (stages) in only one data file.